Offer condition: Every day at 10am we'll open a brand new special offer or prize, available for one day only, closing at 10am the following day. Do not miss another Littlewoods voucher! 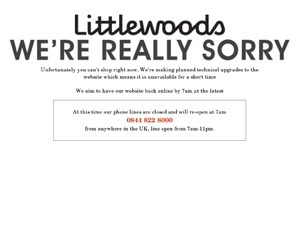 Simply leave your e-mail address and we'll always keep you informed of new vouchers for Littlewoods. Offer condition: £15 discount only applicable when you open a credit account and place your first order of £30 or more before 30th September 2012. The discount will be applied as an account credit. Credit provided by Shop Direct Finance Company Limited, Liverpool, L30 1SL. Returned goods, financial services products and delivery charges will not count towards the order value & this offer cannot be used with any other discount or promotional offer. Offer condition: Place an order of £50 or more and at the checkout, select the Buy Now Pay Later check box or simply enter the code XV825 in the promotions box. Offer condition: Excluding portable audio/electrical games and computing. Bought three items on my first credit order but only received discount on one item. Offer condition: For new customers opening a credit account only. Offer condition: This discount is available to new customers only, can be used once and is conditional on being accepted for a Empire Stores credit account; acceptance is subject to status. If you are not accepted for a credit account you will not be entitled to the discount. Offer condition: Toy Story 3 only. Offer condition: The £15 first order discount is available to new customers only, can be used once and is conditional on being accepted for a Littlewoods credit account, acceptance is subject to credit status. If you are not accepted for a credit account you will not be entitled to the discount. Offer condition: Pick the products you want to buy and open a Littlewoods credit account (new customers only). 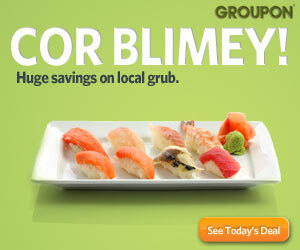 Continue to checkout quoting voucher code, placing you order on your new credit account. And if England win, yours first shop is free. Latest voucher code valid at a time of promo publication was entered to be working from 2013-12-12.